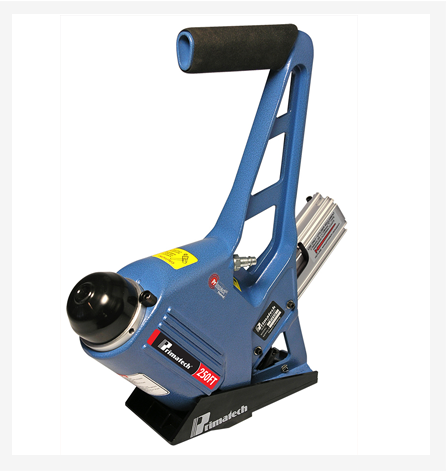 First with the OEM PrimSurfer Roller Base, the 550ALG pneumatic 18ga L type nailer is the most advanced tool designed for large surfaces such as gymnasium floors. 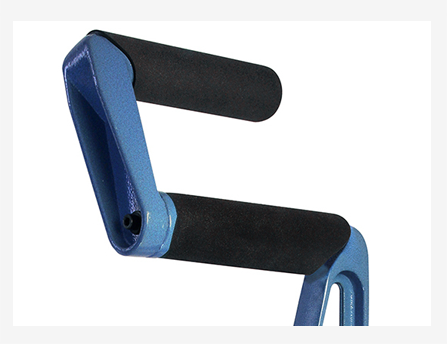 The PrimSurfer bearing assembled roller base features a two-way side shift. 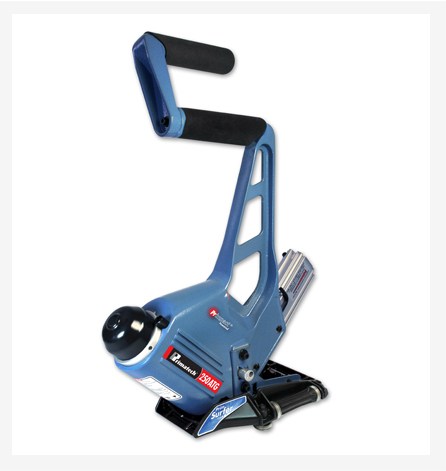 Not having to lift the tool repeatedly eases off the tension in the user’s arm and back, thus increasing speed and precision and providing a substantial gain in time and floor boards installed. 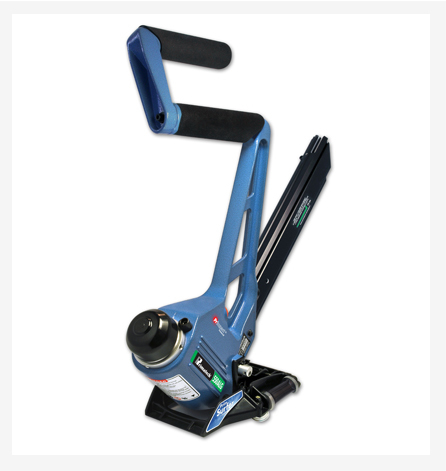 The cam operated base plate adjuster maintains a consistent angle of penetration to deliver the fastener snugly into the nail pocket of the board with controlled penetration and perfect accuracy. 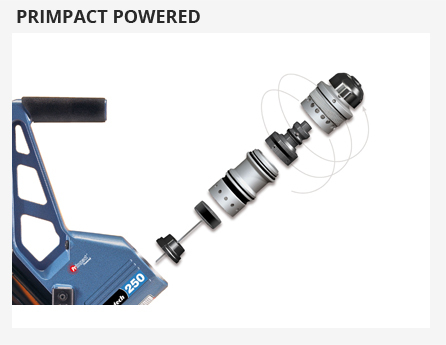 Primpact striking module is assembled with wear rings lasting over 1,250,000 cycles, for a tool with the lowest cost of ownership. 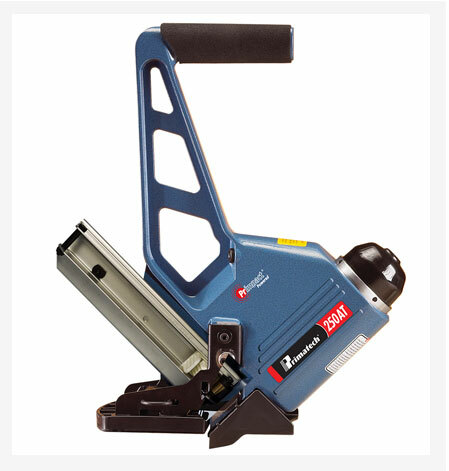 Rotating ergonomic extension handle allows to operate the nailers at a higher or lower position. 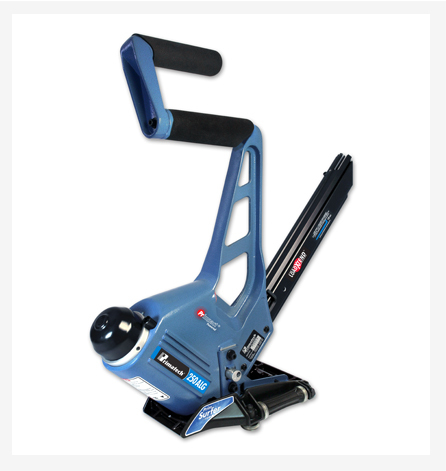 It can be easily set and locked at any position, thus providing a better comfort and tool control. Its all around activating surface. Its soft touch firing activation. Its smooth, dual-action recoilless striking mechanism. Its perfect stability of operation, a major contribution to dimple effect reduction. Its interchangeability between same generation units. Its minimal, on the jobsite maintenance. Its shorter air saving operating cycle. Its finely threaded screw-in cartridge assembly for precision, easy dismantling and durability. Its self-regulating penetration power, independent from the mallet blow. Its superior time saving and reliable general performance. 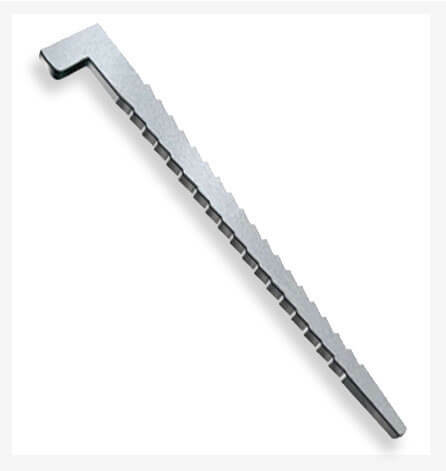 Accepts 18ga L nails 1 ¼’’ – 1 ½’’ – 1¾” (32 – 38mm – 45mm).